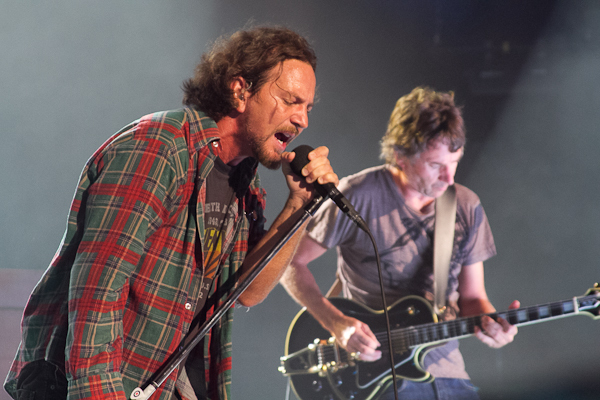 For Christmas, Pearl Jam gifted members of their Ten Club fan club a pair of recordings from the PJ20 music festival in 2011. This performance of the Binaural b-side “In the Moonlight” featured Queens of the Stone Age’s Josh Homme. The other recording is of “All Night” featuring Joseph Arthur, Liam Finn, and Glen Hansard.